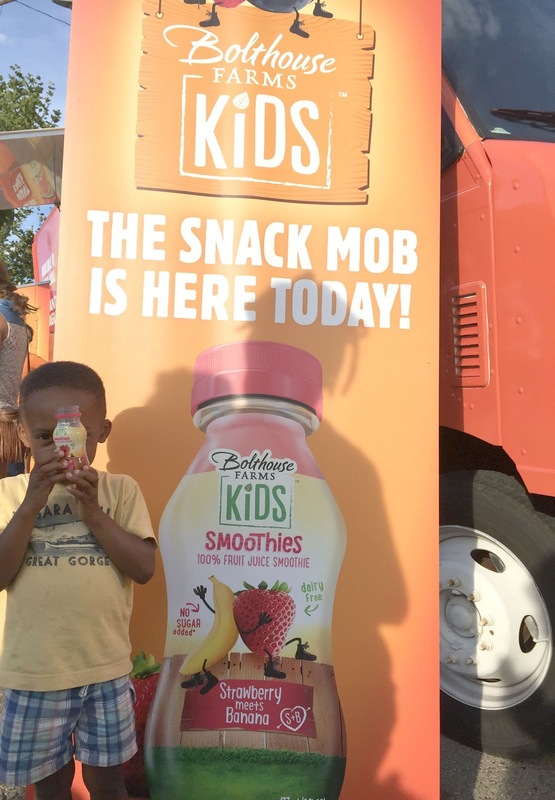 Have you heard that the Bolthouse Farms #SnackMob truck is here in Pittsburgh? They are traveling around our city handing out FREE snacks that your kids don't want to miss. For those of us who will soon be packing school lunches, they have great healthy options to add to packed lunches. You can find the Bolthouse Farms Kids™ line in the Produce Section at your local Giant Eagle and they contain no added preservatives, high-fructose corn syrup, or artificial flavors. Their new kids line include smoothies, veggie snackers, and squeezable fruit tubes. Last week was National Night Out where neighborhoods across the country plan events to encourage greater community awareness. 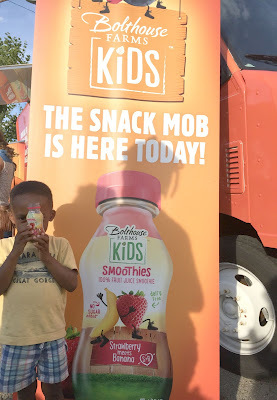 My church was hosting a kickball game for kids in the neighborhood and we were thrilled when we heard the #SnackMob truck was able to come by during the event. The Snack Mob truck is a happy and friendly crew and we enjoyed hanging out with them for the evening. They passed out smoothies and carrot snack packs. I loved seeing so many people walking around with healthy foods in hand! Lots of happy customers! We had 125+ guests which included neighbors, church members, police officers and other officials. It was pretty cool to have the Bomb Squad + S.W.A.T. truck stop by as well! You can find the complete schedule for the Bolthouse Farms #SnackMob truck here. ------->>>> Head here to print a coupon for $1 off any Bolthouse Farms Kids™ product! But that's not all....YOU could have the #SnackMob truck to come to your party!